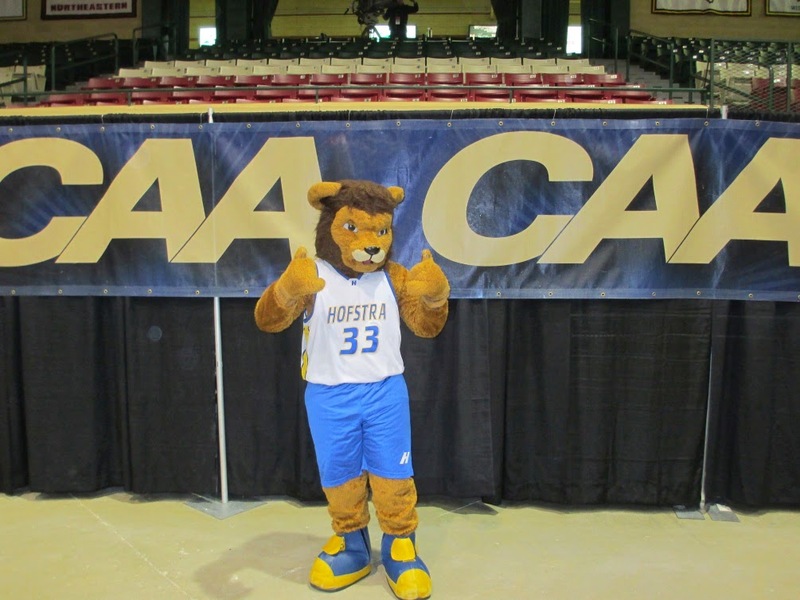 Hofstra Student Life: Back to Back CAA Championships! March is a big month for Hofstra basketball, filled with two weekends in a row of championship tournaments. 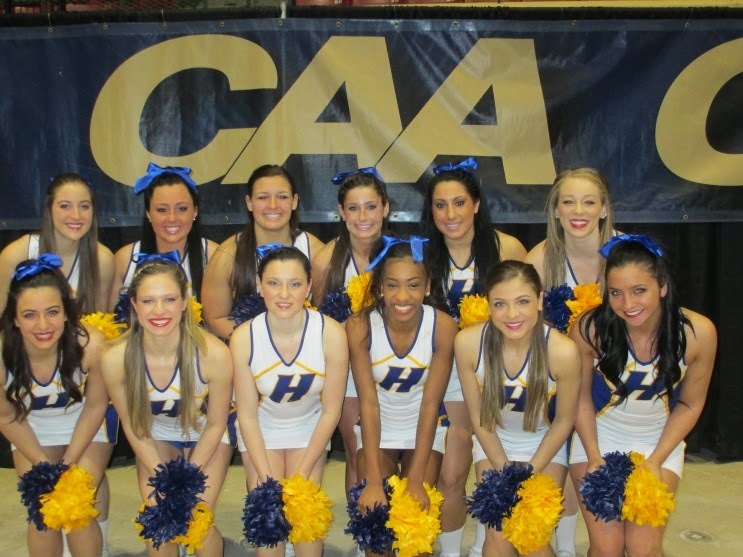 Hofstra Spirit Support participated in cheering on both our Men’s and Women’s teams at the Colonial Athletic Association (CAA) Tournaments, bringing our teams to the completion of their 2013-2014 seasons. The Men’s tournament was played March 7th-10th at the Baltimore Arena in Baltimore, Maryland. Friday night the Hofstra Men’s basketball team played an action-packed game against UNCW. The team was rooted on by nineteen Pep Band Members, ten members of the Dance Team, and our very own mascot Kate. Our students took the lead in energizing the crowd as the only Spirit Support group in attendance between the two schools. 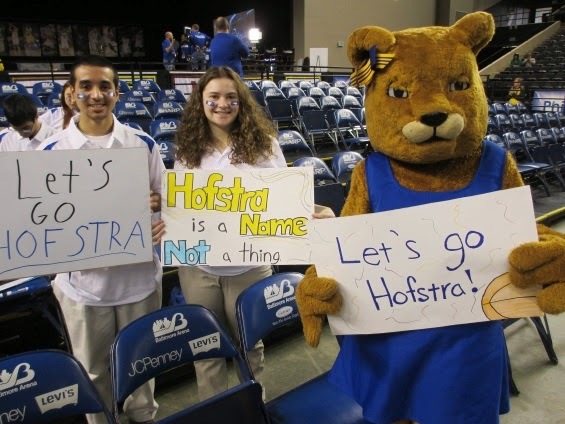 Friday night Hofstra took an exciting win with a final score of Hofstra 78- UNCW 70! Moving on in the tournament, Hofstra played the University of Delaware on Saturday afternoon. After a close game, Hofstra ended their season with final scores of Delaware 87- Hofstra 76. The following week our students hopped on buses for the Women’s tournament, held at the Show Place Arena in Upper Marlboro, Maryland. 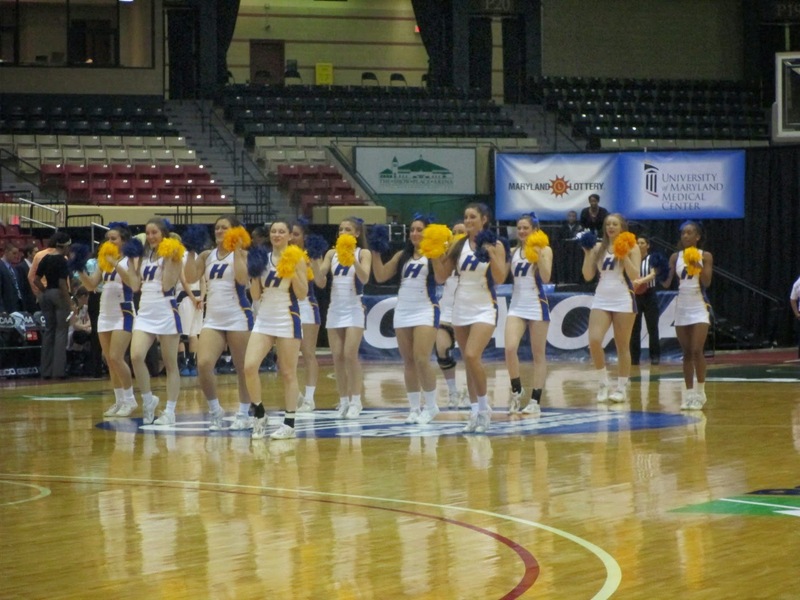 Hofstra’s Women’s Team played a close game against Drexel University. Keeping the Pride energized for this tournament were eighteen members of the Pep Band, thirteen members of the Cheer Team, and the other half of our mascot couple, Willie. Blue and Gold was reflected in the crowd by the team’s fans including friends and family members that made the trip down to cheer on the team. Even with points being scored in the final few minutes of the game, the game ended with a score of Drexel 60- Hofstra 55. From energized dance and cheer performances, to a battle of the Pep Bands and cheering from our mascots, Hofstra truly showed it’s pride and school spirit this month. The tournaments were overall accomplishments to highlight both of the Basketball teams’ hard work throughout the season. Special applause and thanks were directed at our graduating seniors for their hard work.